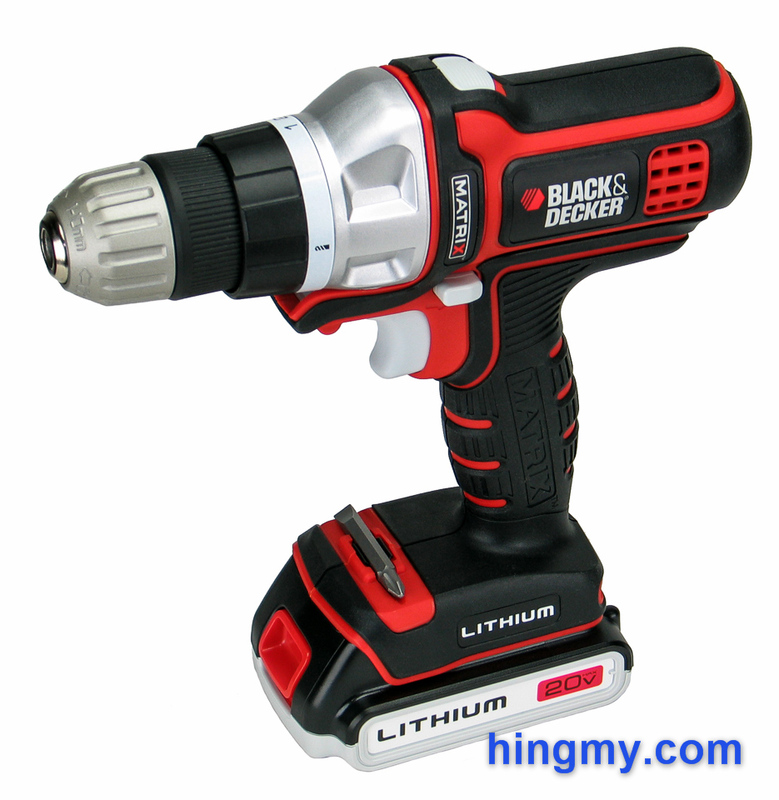 One of the most popular tools in the home centers this season is the Black&Decker Matrix. This changeling of a tool separates the handle, battery, and motor from the tool's head, which translates the provided energy into usable work. Individual power units can be purchased to increase the capabilities of the whole kit. The concept promises to deliver great performance at a much cheaper price. Needless to say, we bought a Matrix the second we saw it in a home center. Let's take a look if a changeling can outperform a toolbox full of tools. The engineers at Black&Decker conceived the Matrix as the ultimate tool for the homeowner. Instead of having to buy multiple expensive tools only to use each one once a year, the homeowner buys into the Matrix system. The expensive battery and motor only have to be purchased once leaving more money for purchasing power units, which unlock new capabilities. In theory the Matrix offers the same level of performance a set of professional tools do at a considerably lower price. The 20V handle/motor unit is well built and robust. Covered in relatively stiff, black rubber the handle feels comfortable in your hand. The trigger has a long usable range allowing for precise control of the motor's RPM. The direction selector switch does not operate very smoothly. Every now and then it catches and requires a second attempt to be persuaded into the correct position. The switch works well enough for occasional use, but you'll notice it on long projects. There is no work light or battery gauge on the tool. These two features are not essential and won't necessarily be missed, but they do put the Matrix at a disadvantage when being compared to the competition. 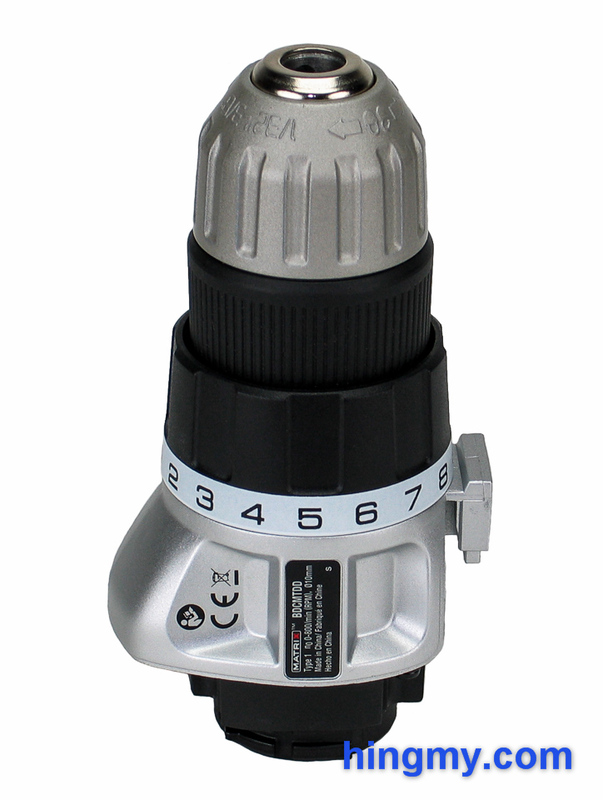 The drill unit comes equipped with a standard 3/8" friction chuck for economical drilling. The head install on the handle in a very secure and robust way. Once the two pieces come together the combination feels like a standard power tool. The power unit is never in any danger of falling out no matter how rough the tool is being handled. The unit is equipped with a 10+1 position clutch. On a new unit the clutch ring takes a lot of force to turn. There is no tick mark on the body of the unit to indicate what setting is currently selected. After a few seconds it becomes clear that the setting inline with the spine of the tool is the active one. If that's too much work to do every time you use the chuck, a sharpie quickly creates the missing tick mark. The impact driver unit is easily the heaviest of the different power units. It appears to be built particularly well. The plastic mounting flange and the rubber bumper on the nose are the only parts not made out of metal. Like the drill unit the impact driver unit installs in the handle very securely. There is some side-to-side movement under load, but not nearly enough to be noticeable under normal operating conditions. The hex chuck sits very deep. It is very difficult to operate when wearing gloves. Standard size bits sit very low in the chuck. The chuck does not close completely when using one of these bits making it hard to correctly position what little is visible of the bit's tip. The Matrix's driver unit is best used with long bits instead of standard length bits. 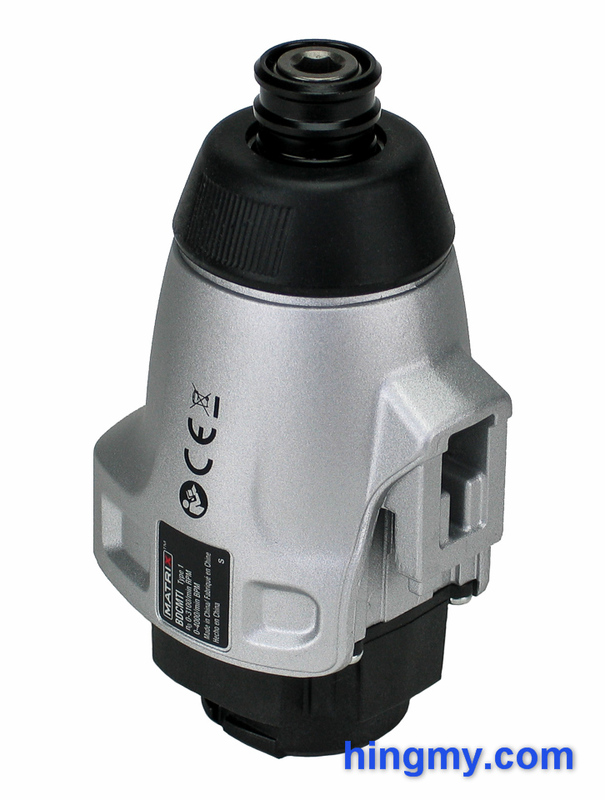 Black&Decker sells several attachments in addition to the drill and driver units included in this kit. Your options include a circular saw, jig saw, recip saw, sander, router and oscillating tool. These specialty units must be purchased individually, but come at a very reasonable price. The circular saw and router units are particularly interesting, because they turn the Matrix into tools with very little competition. Even professionals should take a look at the cordless router setup. The power units fit on three different handles: a 12V compact handle, the 20V handle included in this kit, and an AC handle with a power cord. Each handle includes a different motor with different performance characteristics. As you would expect, the capabilities of the power units change depending on the handle used. The 12V handle emphasizes size over power. The 20V handle is designed to provide good performance while still being portable. The AC handle adds a power cord for the ultimate level of performance. The AC handle is a good addition to any Matrix based kit, because it compensates for the Matrix's primary weakness; the very long recharge time. It'll also provides more power for those tough jobs that would otherwise be a problem for the Matrix. The Matrix not only manages to impress with its versatility, but also with its low price. Assembling a complete set of power tools using the matrix system is cheaper than doing it with the tools of any other manufacturer. Not only that; the resulting kit will be smaller and easier to store than any other. The battery system secures the Matrix's place in the hobbyist category. It takes the charger 5-8 hours to charge a battery depending on the type of battery used. Professional kits recharge their battery in 30-45 minutes. Even with a spare battery, which must be purchased separately, the Matrix will quit on you one or two hours into a large project. The charger is very light, but durable. A single two-color LED lets you know what the charger is doing. Just wait for the solid green light to come on and the battery is ready to go. 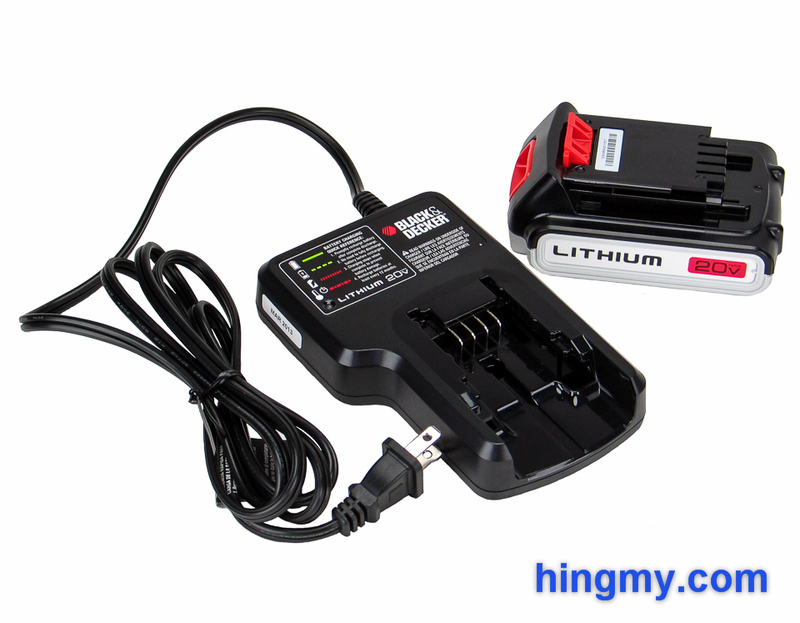 The charger included in the BDCDMT120IA kit can only charge 20V batteries. 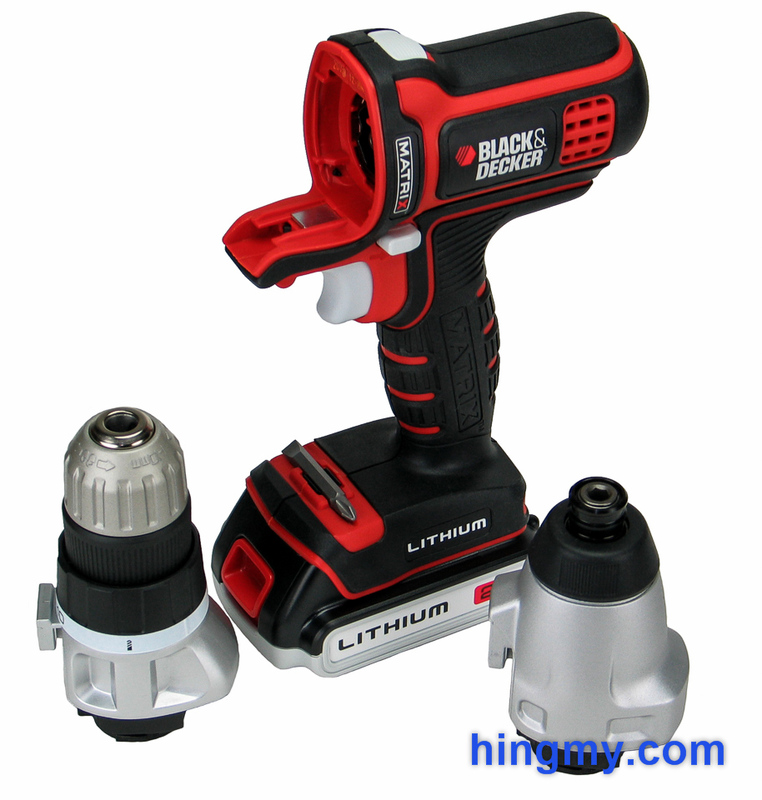 If you want to use the 12V grip, you'll have to buy a kit that includes a charger for 12V Black&Decker batteries. The drill unit's performance suffers a little from the motor's low maximum speed. The unit has no problem powering a 3/8 inch bit through a stud, but it does not do it as smoothly as a drill with high rpm. This is not an issue, if you only have a few holes to drill. When you are hanging a picture, or working on your house, the Matrix feels like any other power tool. When you are drilling a few hundred holes during a deck install, you'll notice that the tool feels just a little off. The settings on the clutch of the drill unit do not appear to be spaced evenly. The first six increase in torque at an even pace. Setting 7-10 are spaced far part. The lower range of the clutch performs its function well. It can be used for general assembly tasks around the home. The driver unit on the other hand is one of the best performing drivers in the budget category. It has no trouble twisting a three inch screw into construction grade lumber, and has room to spare. The hammer hear engages half way and seats the screw below the surface. The driver unit makes less noise than most driver making it possible to use the driver without hearing protection in some circumstances. The Matrix takes about a second longer to seat a three inch screw than the leading drivers. Again, that difference is immaterial when the project only involves a few fasteners. When you are installing a deck, you'll notice the difference fairly quickly. Endurance is good, but limited. Like most drivers the Matrix drives a couple hundred fasteners on a full charge. The battery seem to be smaller than average resulting in the Matrix lagging behind the competition. Again, this is not a significant issue, because the long recharge time already precludes the Matrix from being used on large projects. The endurance of the Matrix is more than enough for those little projects around the house. Overall both the drill and driver units perform surprisingly well. The Matrix performs nearly as well as professional tools when used around the house. On long or demanding projects you'll notice some flaws in the handling, but if you do not push the limits, the Matrix leaves nothing to be desired. Add to that the potential the other power units provide, and you have a hidden gem of a power tool. The low price makes it all even more surprising. 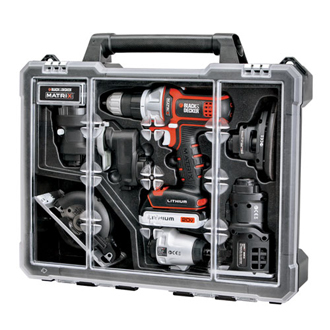 To drive the point home that the Matrix packs up tightly Black&Decker is offering an optional toolbox, the "[I]Limited Edition Matrix Storage Case BDCMTSC[/I]" (on Amazon). The molded plastic case has room for all power unit and one of the handles. If nothing else, it's great to look at. The Matrix is one of those rare product that delivers exactly what it promises. 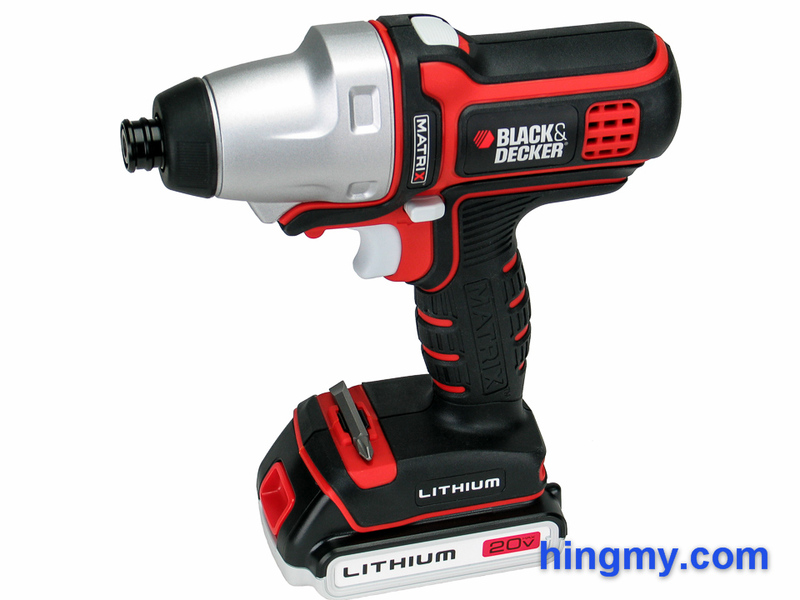 It converts from a drill to driver in seconds, and performs well as both of these tools. The Matrix can complete all projects around the house without the need for a more powerful tool as a backup. The professional competition gets the job done a little faster, but that time is small on a typical home project. Needless to say, the Matrix should never see job site work. The 8 hour recharge time of the battery matches the tool's job description, but it still feels like Black&Decker should have done better here. With only one battery included in the kit, it's just a matter of time until the Matrix stops one of your projects cold. Overall the Matrix represents an amazing value considering the different power units that can be installed in the handle. This kit is a great option for any homeowner, who wants to purchase good tools that don't break the bank.